Before you make a decision, take the time to explore each of these tools first to help you determine whether or not they’re worthwhile. To begin, here are the alternative solutions you can use without spending a single cent. Let’s face it, us bloggers love free stuff. If we can get away with it, we’d build our entire blogging ecosystem with free tools. Unfortunately, it’s impossible to find an alternative that can match everything SEMrush has to offer. The best you can do is identify the aspects of SEMrush that are important to you and find individual tools to replace them. Why don’t we start with a tool that every SEMrush user depends on? A lot of bloggers rely on SEMrush’s “Keyword Magic Tool” to find target keywords to boost their organic rankings. I’ll be honest — when I first thought about SEMrush free alternatives for keyword research, one tool immediately came into mind: Ubersuggest. Hosted on Neil Patel’s website, Ubersuggest is what most bloggers would envision a “free tool” to be. It has all features unlocked from the get-go, a user-friendly interface, and capabilities that are on par with premium tools. Within seconds, Ubersuggest will pull up an overview of your seed keyword’s important metrics, including its average monthly search volume, SEO difficulty, and average CPC or Cost Per Click. You will also see an estimate of your success rate should you decide to target the keyword in your SEO campaign. By navigating to the ‘Keyword Ideas’ tab, Ubersuggest will show you a list of long-tail keyword variations based on your seed keyword. Ubersuggest also includes metrics that will help you handpick the keywords you want to use in your campaign. For new bloggers, an SD or SEO Difficulty of around 30 is recommended, which pertains to low-medium competition keywords. As icing on the cake, Ubersuggest is armed with a filter feature that makes keyword hunting invariably easier. By switching on the ‘Filters’ toggle, you can instantly sieve out keywords with specific search volumes, SEO or PPC difficulty, and so on. You can even include commercial-related terms like “buy,” “hire,” or “price” if you want to pull in users with purchase intent. For example, if your seed keyword is “wedding photographer,” you can include the keyword “hire” in your filter to reach users who have higher chances of converting. Ubersuggest, however, doesn’t necessarily beat the SEMrush Keyword Magic Tool across the board. Similar to Ubersuggest, KWFinder is another SEMrush free alternative for keyword research. It also doesn’t require you to create an account, which is a plus if you really want a commitment-free tool. What differs is the number of options you have when initiating keyword research. While Ubersuggest only allows you to expand a seed keyword into potentially hundreds of long-tail keyword ideas, KWFinder also lets you search specifically for Google Autocomplete suggestions and questions. The long-tail keyword suggestions are pretty good as well. Apart from raw metrics like the keywords’ average monthly search volumes, difficulty, and CPC, KWFinder also lists down the top 10 pages that rank for your seed keyword. This will allow you to better gauge the competition and maybe borrow inspiration from their content. Another unique feature of KWFinder is that it visualizes the interest for a keyword over time, allowing you to extrapolate the data and weed out keywords that may lose their relevance in the foreseeable future. You can view the graph by clicking ‘Interest Over Time’ right above the top 10 Google results for your keyword. Perhaps my main issue with KWFinder is that the keyword suggestions are limited to only 25 results for unregistered users. Certain features, including Google Autocomplete and question keyword searches, are also locked behind the subscription wall. Granted, there is a free subscription option for those who’d rather not spend money on a keyword research tool. The bad news is, you will only be given up to five, full keyword searches per day over a seven-day period. Otherwise, you’re stuck with the limit of 25 keyword suggestions at a time. That may suffice if you’re only doing keyword research for your blog content, but for SEO campaigns, you’ll definitely need something more capable — if not, upgrade to a paid KWFinder account. You can’t leave out Google Keyword Planner when creating a list of free keyword research tools. As you may have guessed, you need to have an active Google account before you can use Keyword Planner. But once you’re over that hill, you get to use the tool for keyword research for as much as you like. Besides, marketing-savvy bloggers nowadays tend to have Gmail accounts anyway, especially for services and networks like YouTube, Google Drive, and Google Analytics. To use Keyword Planner, you need to choose between finding new ideas and getting search volume data for your keywords. The first option works just like the aforementioned keyword research tools: seed keywords go in, hundreds of keyword suggestions come out. On the good side, Keyword Planner can show you hundreds of keyword ideas for free — including key metrics like their average search volumes, PPC bids, and so on. Keyword Planner also has a customizable filter tool that has a tad more features than the Ubersuggest’s. You can find keywords that contain specific text, have specific paid or organic impression share, and more. Keyword Planner’s values for the average monthly searches and keyword competitiveness are rough estimates at best. For example, unlike other tools that provide more accurate measurements of a keyword’s average monthly traffic, Keyword Planner only gives you an entire range, like 10-100 or even wider gaps like 10,000-100,000. The same can be said for Keyword Planner’s competitiveness ratings, which can only be low, medium, high, or blank — hardly as useful as the number ratings used in other keyword research tools. But then again, Keyword Planner often offers way more ideas than other free tools. If you really need metrics, you can always take the keyword you found here and plug it into a separate tool for analysis. For instance, if you found the keyword idea “setting up a blog” on Keyword Planner, you simply need to enter it into Ubersuggest for more precise metrics. Although the Keyword Magic Tool is crucial, it’s only part of the reason why SEMrush is a big name in the digital marketing industry. SEMrush also has a set of domain analysis tools that can supply you with all the data you need to run a successful SEO or digital marketing campaign — from your organic search traffic to your website’s backlinks. To improve your search engine rankings, you need to build and maintain a healthy backlink profile. Backlink checkers like Monitor Backlinks allow you to avoid penalization due to low-quality links. At the same time, you can use it to check out the backlink profile of your top competitors and identify their most valuable link sources. You can also view their linked pages to learn what counts as “link-worthy” in your niche — just click on the links under the “URL to” column to find these pages. The free reports include a total of 300 backlinks for each URL, including metrics like the referring page’s trust score, anchor text, and target page. Monitor Backlinks will also indicate if links are tagged with either the “nofollow” or “follow” status. Since free reports can’t be saved to your Monitor Backlinks account, try to copy as many backlink information as possible into a spreadsheet. Unfortunately, the ‘Download CSV’ feature is only available for paid users. Searchmetrics is one of the lesser-known domain analysis tools you can use if you need an alternative to SEMrush free of charge. Once the analysis is complete, Searchmetrics will show you a simplified view of the domain’s SEO visibility using visualizations. This includes the website’s organic visibility on paid and organic channels as well as on desktop and mobile devices. What I really like about Searchmetrics is the fact that the initial report is organized and consolidated as a single page. You can scroll down for more insights on the domain’s visibility on specific countries, top competitors, backlinks, and other areas of SEO research. Alternatively, you can use the navigation bar on the left to jump to a section in one click. Understandably, a free account won’t give you access to all the data and features that Searchmetrics has. 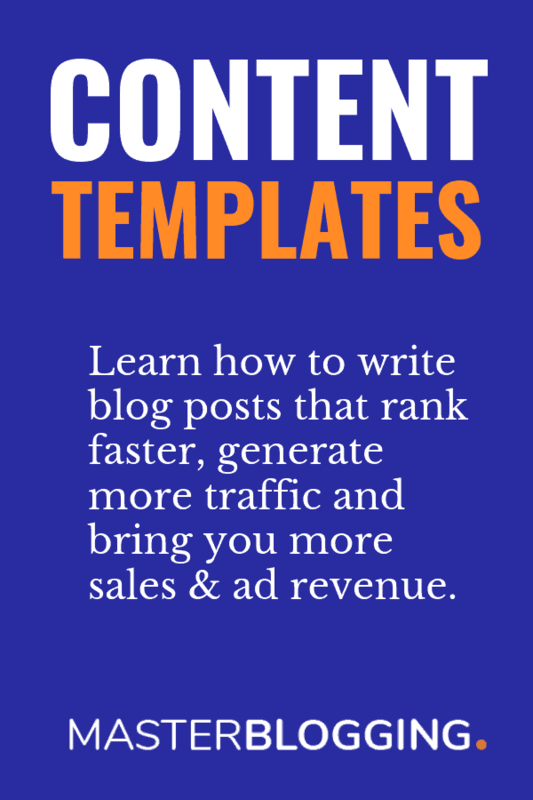 The “Content Performance” tool, in particular, is a premium feature that would be extremely valuable for bloggers who are directly involved with their content development and SEO strategy. Despite this, essential features like “Backlink Research” will show you a generous amount of results — more than enough if you only need to analyze one website. Serpstat is one of the most cost-effective alternatives that are comparable to SEMrush in terms of features. It also offers a free subscription option, but there will be limits to the number of queries you can make in a day and the features you can access. If you entered a keyword, Serpstat will then present you a slew of useful information, like related organic keywords, the keyword’s average CPC, and a list of the top Google results. All useful things — but not quite what we’re really looking for since we already have a list of alternatives for keyword research. However, if you entered a domain address or URL, you will be shown a rating of the website’s search engine visibility, amount of monthly organic traffic, the total number of organic keywords it’s ranking for, and so on. You can dig deeper by navigating to a specific section of the domain analysis using the menu on the left. A side-by-side comparison of Serpstat and SEMrush will show you that all the essential features for running successful SEO and digital marketing campaigns are there — from backlink analysis to thorough site audits. Other components like domain comparisons, keyword match types, and the overall depth of reports are missing, but these may not be a big deal to some bloggers. Of course, most reports are only limited to 10 items for free users, but even if you choose to purchase a Serpstat plan that matches the capabilities of SEMrush’s entry-level package in certain aspects, you’d still be saving money. That, to me, is the biggest reason why any blogger should consider choosing Serpstat over SEMrush. Alright — maybe saving money isn’t the reason why you’re looking for a SEMrush alternative. Maybe you’ve taken the SEMrush free trial for a spin and didn’t find it to your liking. If funding isn’t a problem for you, then perhaps you’re willing to consider paid SEMrush alternative that can be cheaper, more expensive, or just as costly. Let’s take it slow with a platform that’s only a third of SEMrush’s cost. SpyFu is an analytics service tailored to help you spy on your competitors, which a lot of crafty marketers do with SEMrush. The first step to creating a SpyFu campaign is to enter a competitor’s domain URL. It shouldn’t take long before SpyFu unloads heaps of information about your competitor — from the breakdown of their traffic to their AdWords strategy. A can’t-miss section of the initial report is your competitor’s top keywords for both organic search engine rankings and paid ads. Just scroll down a bit and click ‘View All Organic Keywords’ or ‘View All Paid Keywords’ — whichever is more important to you at the moment. In addition to the target keywords themselves, SpyFu also lists down important metrics that help you select viable keywords that you can absorb into your own campaigns. This includes the keywords’ ranking difficulty rating, average searches per month, and the estimated number of clicks per month. Another important section of the SpyFu report is “Inbound Links,” which — as the name implies — unveils your competitor’s top backlinks and their sources. If those data sets aren’t impressive enough for you, rest assured that we’ve barely scratched the surface. SpyFu also lets you spy on your competitor’s worst-performing keywords, top AdWords buy recommendations, organic ranking history, and more. You could even take your competitive research to the next level by getting a firsthand look at their Google Analytics account through Nacho Analytics — divulging everything from their most effective conversion tactics to their real-time sales numbers. Next up, Ahrefs undoubtedly makes a strong case as the best alternative to SEMrush. Not only are the two platforms similar in terms of features and use cases, they also have nearly identical pricing schemes. While SEMrush starts at $99.95 a month for the “Pro” plan, Ahrefs offers its baseline “Lite” plan at $99. Both platforms also offer a top-end plan for teams at around $399 — called the “Advanced” plan on Ahrefs and “Business” on SEMrush. It’s worth noting, however, that SEMrush plans are exactly $0.95 more expensive than their Ahrefs equivalents. While it’s a negligible amount, that’s still almost a dollar saved each month. But enough about the price, let’s discuss the main reasons why Ahrefs is considered by some as the best, pound-for-pound alternative to SEMrush. From the main Ahrefs dashboard, click ‘+ New project’ to get going. You will then be met with a series of generic setup steps, like entering a domain or page URL, giving your project a name, specifying your target keywords, and so forth. When done, an overview of your project should appear on your dashboard, which contains insights like your website’s domain rating, the number of referring domains, and organic keywords. This brings us to a very useful feature that both Ahrefs and SEMrush offer — the “disavow” tool. When you detect problematic links with other backlink checkers, the ensuing course of action would be to launch the Disavow Links tool from the Google Search Console and manually remove the link yourself. With the integrated disavow tool in both Ahrefs and SEMrush, you just have to round up the bad links into a list and disavow them all in one click. Ahrefs also has other features that match the sought-after tools offered by SEMrush, particularly the analytics tools for your SEO keywords, traffic, content, and rankings. The “Site Audit” feature, for example, will help you see your domain in dimensions that would otherwise be invisible to free domain analysis tools. You can understand the breakdown of your website’s content types, identify internal links with issues, check your overall crawlability health score, and more. What I don’t like about Ahrefs, however, is that there’ no option to add multiple users to your account. If you plan to hire someone to handle the SEO side of things, your only options are to share a single account or get either the “Advance” or “Agency” plan. Just bear in mind that only one user can be logged in at a time. Lastly, let me show you one more feature that Ahref has over SEMrush — the SEO Toolbar for Chrome and Firefox. Here’s the thing: most bloggers prefer spending time on content research and development rather than SEO or marketing. With the SEO Toolbar, pertinent metrics such as keyword difficulty, search volume, CPC, and the total number of backlinks to a page will be shown on search engine results. This allows bloggers to quickly size up the competition and determine how difficult it is to target a certain keyword. Moz is a name that’s easily recognizable in the entire SEO and digital marketing landscape. They’re famous for developing the search engine ranking score called Domain Authority — a metric that even dozens of other SEO tools integrate into their own platforms. And regardless of the platform’s capabilities, the Moz Pro’s web interface does exceedingly well when it comes to beginner-friendliness. Before we talk about Moz Pro’s selling points, you should know that they also offer a handful of free SEO tools on their website, namely “Keyword Explorer,” “My Business Console,” “Link Explorer,” and the “MozBar” for web browsers. All of these can be used even without a Moz Pro account. If you do decide to purchase Moz Pro, the platform will walk you through the steps to creating your first campaign. This is incredibly helpful for bloggers who never had any experience with SEO analytics tools or anything remotely similar. The steps involved include entering the domains you want to track, integrating your Google Analytics account, choosing the search engines you want to use, and so on. For your campaign’s keywords and competitors, Moz will automatically input suggestions ideas based on your domain. After the initial configuration step, you will be redirected to “Moz Home” — a dashboard where you can find all your notifications, onboarding objectives, tools, and campaign overviews. Naturally, new users should attempt to complete the onboarding process if they want to kickstart their productivity with Moz. They also offer a three-step learning program that helps beginners make the most out of the platform. My favorite part of the program is the 1-on-1 walkthrough session with a Moz expert, which can help you learn exactly what you need to do to accomplish your specific goals. If you’re not interested in tutorials, feel free to go ahead and click on any of your campaigns to access Moz’s host of SEO analytics tools. In your dashboard, you will see an overview of your website’s SEO performance. The top reports show your website’s search visibility on Google, including its visibility on desktops and mobile devices. Similar to pretty much every other SEO and marketing analytics platforms, you can access other reports using the navigation menu on the left. The “Inbound Links” page, for example, gives you a bird’s-eye view of your website’s backlink profile along with crucial SEO metrics, namely your Domain Authority, Page Authority, and the total number of backlinks. Other aspects of your backlink profile, such as anchor texts, most linked pages, and lost links can be viewed by going to their respective pages on the left menu. If you ask me, I’d rather have them all on one page, but some bloggers may appreciate how this approach makes it easy to focus on certain information. Moz Pro also lets you concentrate on optimizing one page at a time with the “Page Optimization” tool. Simply click on ‘Page Optimization’ from the navigation menu, enter the page URL as well as your target keyword to gain actionable insights — from issues that hurt SEO performance to content suggestions that can improve it. Finally, SEO Powersuite is a collection of desktop-based software that helps with four things: managing your backlink profile, tracking your rankings, spying on competitors, and performing website audits. SEO Powersuite actually has a free plan that you can use indefinitely to test the tools yourself. But since copying, exporting, or saving data isn’t enabled for free users, it doesn’t really qualify as a free tool that has any practical use in real campaigns. Fortunately for you, Master Blogging readers can get a 10 percent discount for a lifetime license or a free license valid for one month. Click here to learn more about these offers and SEO Powersuite’s features. Enter your website’s URL to track its keyword rankings. You can also perform keyword research and integrate data from Google services to monitor more data from one location. Dissect a competitor’s backlink profile and site content to help you formulate a better strategy. You can also make a side-by-side comparison of multiple domains. Get a comprehensive analysis of your website’s SEO health. This tool is especially useful if you want to keyword-optimize your blog content. The “Link Assistant,” on the other hand, is a unique tool that will help you manage a successful link building campaign. That’s why I think it deserves to be covered — at least briefly — in this post. To use Link Assistant, launch the app from your desktop, enter the website’s URL, and wait for the tool to complete the preliminary domain analysis. Link Assistant then allows you to look for link building prospects for your website be it in the form of guest posts, product reviews, comments, directories, and so on. Simply click ‘Look for Prospects’and choose the content type you want to use for backlinks to get started. Found the SEMrush alternative you’re looking for? Long story short, there’s no one-size-fits-all solution when it comes to SEO and digital marketing analytics. Everyone must find a platform that aligns with their own set of needs. Ubersuggest — Perfect for bloggers on a budget who need a reliable source of profitable keyword ideas. KWFinder — Better than Ubersuggest if you plan to do keyword research for topic ideas. AdWords Keyword Planner — This is the keyword tool to get if you use AdWords or need as many keyword ideas as you can get. Monitor Backlinks — A cost-effective tool for the analysis of backlink profiles, be it for your own website or a competitor’s. Searchmetrics — A SEMrush cheaper alternative that generates readable, one-page reports. Serpstat — Get this if you care about the data but can live without the advanced reporting features. Spyfu — Hands down a must-have tool if you’re serious about competitor research. Ahrefs — If you don’t work with a team, this tool can give you more value for your money than SEMrush. Moz — Bloggers who are new to SEO will surely appreciate this platform’s user-friendliness, especially the 1-on-1 walkthrough session. SEO Powersuite — If you’d rather manage your link building and perform SEO tasks straight from your desktop, then this is the right choice. I like to think of bloggers as painters. Even if you have the innate talent, you still need the right tools to craft a masterpiece. Most of the tools mentioned in this post offer free trials — use them. Amazing article. I personally like ubersuggest(free) and ahref(paid). But i think ubersuggest doing a great job as a free tool. What you think about it? Do let me know.